Shinjuku is alive for 24 hours non-stop. Lots of places are open until early morning, so you can enjoy the nightlife thoroughly. During the day, there are full of people who are into shopping and food but nightlife there is much more fun. There are many skyscrapers in Shinjuku; therefore, there are many bars with great night view. 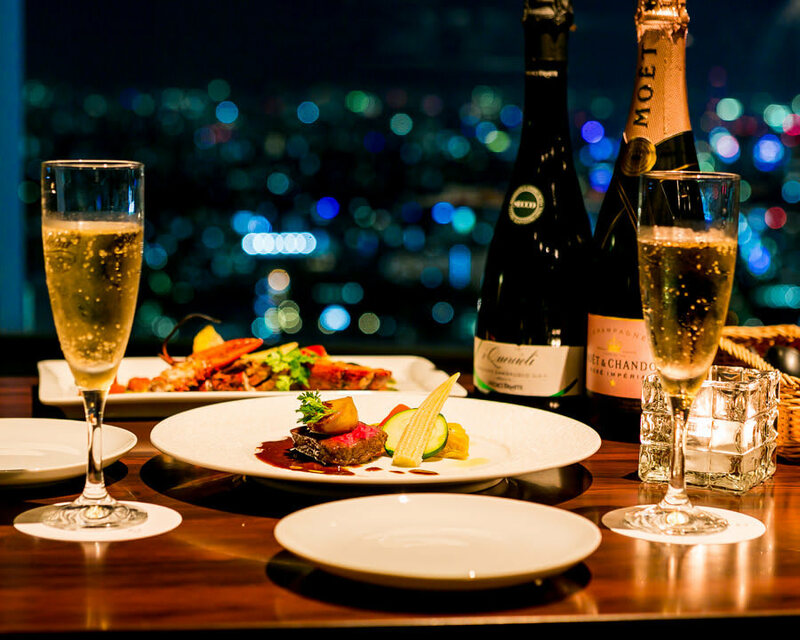 In this article, you can read about HAGOROMO the restaurant with great night view. HAGOROMO Nishishinjuku Nomura Building branch is a very popular restaurant with a great night view. They only have couple style seating. 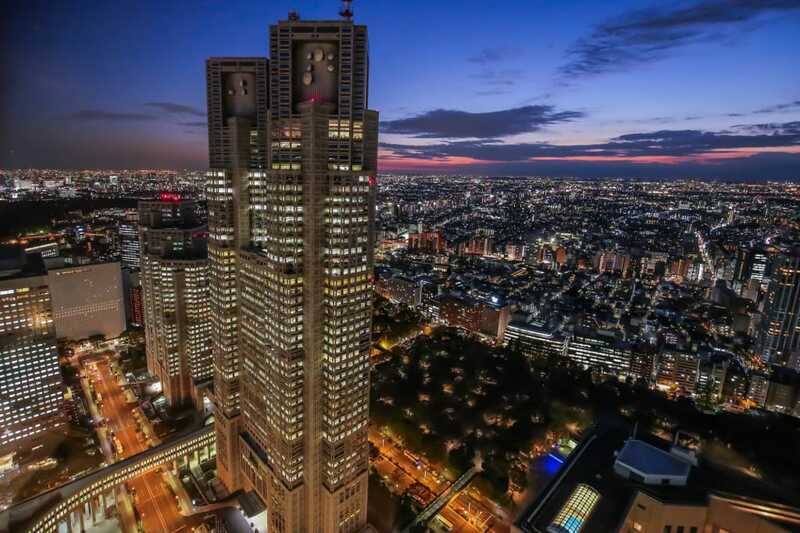 They are located on 49th floor; you can see a clear view of Tokyo. Their all window facing couple seating would be in elevated so you can enjoy this gorgeous view from all the seats. There are also private boxes in the highest level; they charge extra 1000yen but it’s worth the money for special occasions like birthdays or anniversaries. They serve colourful Italian course meals using seasonal products as well as alcohols. You can visit here as a couple or just simply two good friends. They offer grommet Italian cuisine using fresh seasonal products. There are different ranges of course meals from a casual occasion to a formal and special one. They have a great variety of food; their dishes’ presentation are guaranteed to get many “like” on your social media upload. Even though they are Italian restaurant, they also offer creative fusion dishes like roast beef sushi and a wide variety of alcohol: wines, cocktails, beers, Japanese spirits and sake. They are welcoming costumers for both casual and formal occasions. Apart from enjoying a great night view from a high-rise in Shinjuku, you can also have a great time visiting other places: Karaoke Boxes, gay bars, Japanese cabaret clubs and host clubs. They are open until early morning so you can surely find something to do. Some of the clubs offer special events such as people who like animations and gay people. You may meet people who may have similar interests; so you shall give a go. It’s good idea to visit Japanese style bar Izakaya in Shinjuku. In Izakaya, you can enjoy great food as well as meeting people. There are many of them in Shinjuku area. There is a tour that takes you to selected Izakayas; some are hard to find and get reservations. 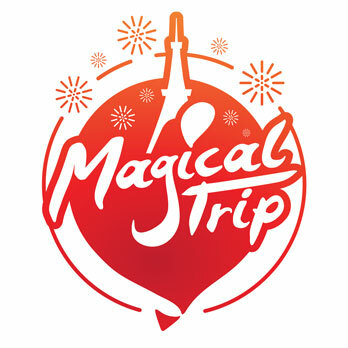 So it’s nice to join the tour and enjoy without worrying too much.Check the detail of Tokyo Pub Crawl Tour.